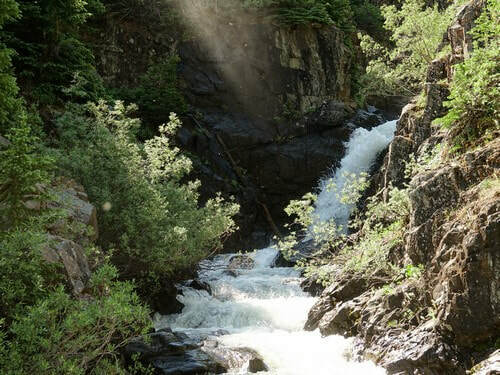 Enjoy an easy road up steep-walled Cunningham Gulch to visit the remains of the Highland Mary Mill, enjoy beautiful waterfalls and view the Old One Hundred Boarding House on the side of Galena Mountain. 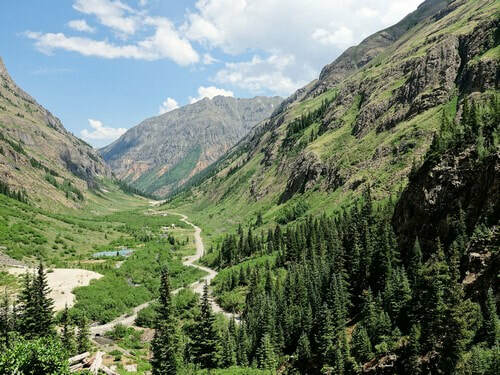 The beginning of the track for this trail will take you by the Old Hundred Gold Mine Tour. 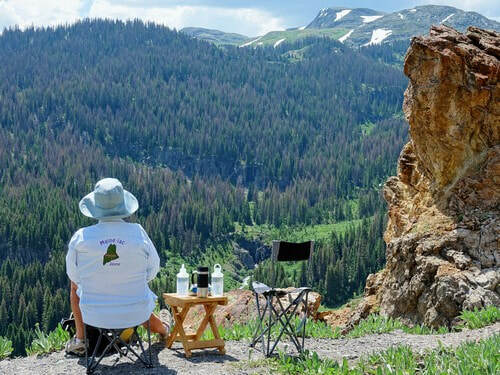 We have not done the tour so have nothing to say about it, but this is one spot to view the Old One Hundred Boarding House 2,000 feet above you. The road stays down close to Cunningham Creek for quite a distance. 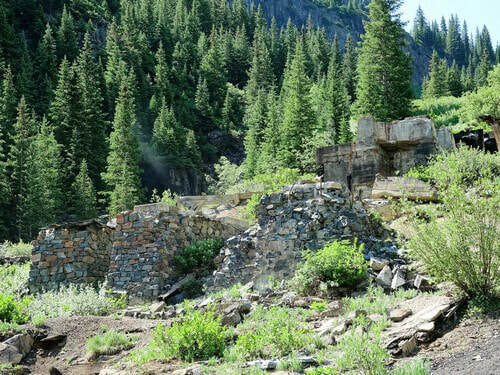 Just as it starts to climb are the remains of the mill for Highland Mary Mine and a beautiful waterfall. 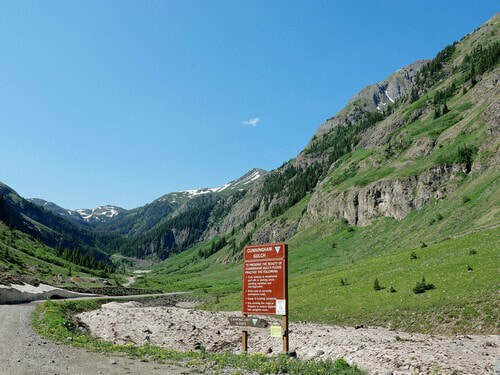 Continue up the road and come to parking areas for hikers doing the ​Highland Mary Lakes Cunningham Gulch Loop, a very popular hiking trail. Drive past these and head up the hill to the end of the road. There is room for several vehicles to park. 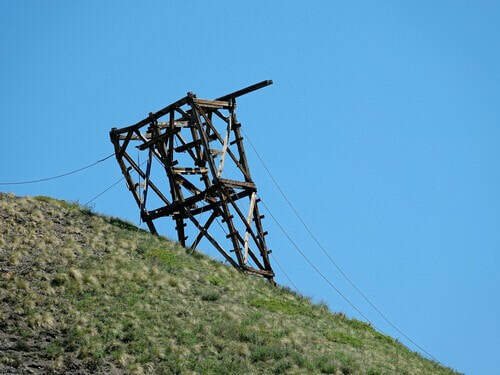 Note the old tram tower that was probably associated with the Highland Mary Mine. This is a nice view spot for lunch. There is a hiking trail heading uphill from the parking area but we did not explore it. 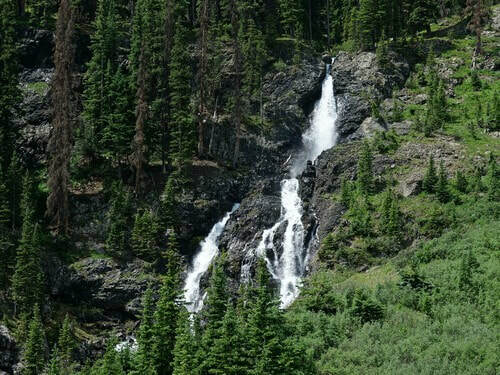 Head back down and a divided waterfall becomes obvious. 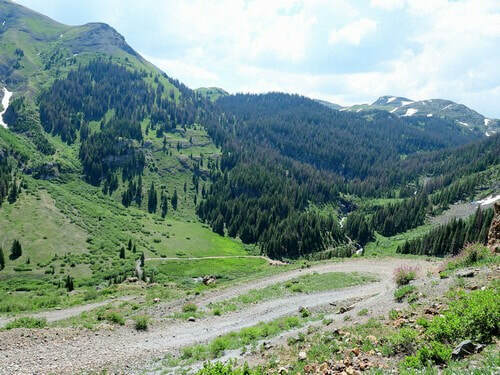 Look down Cunningham Gulch as you descend and view Galena Mountain in the distance. 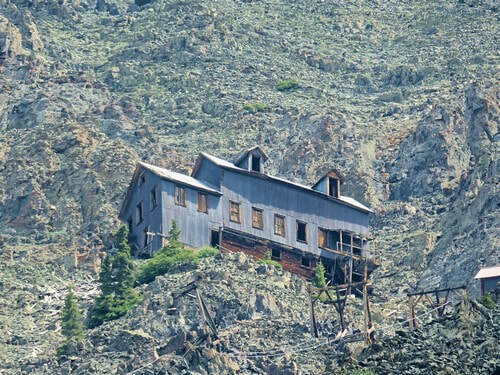 The Old One Hundred Mine Boarding House becomes visible as you proceed down the gulch. 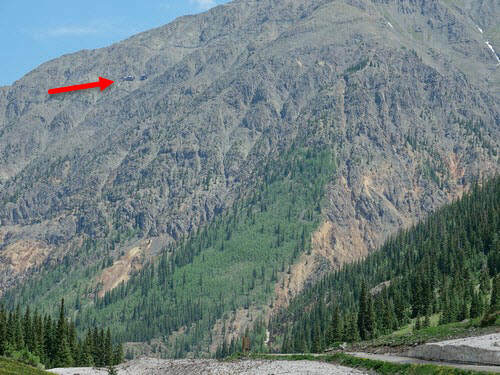 There is a hiking trail to the Boarding House that starts on Buffalo Boy 2.0. 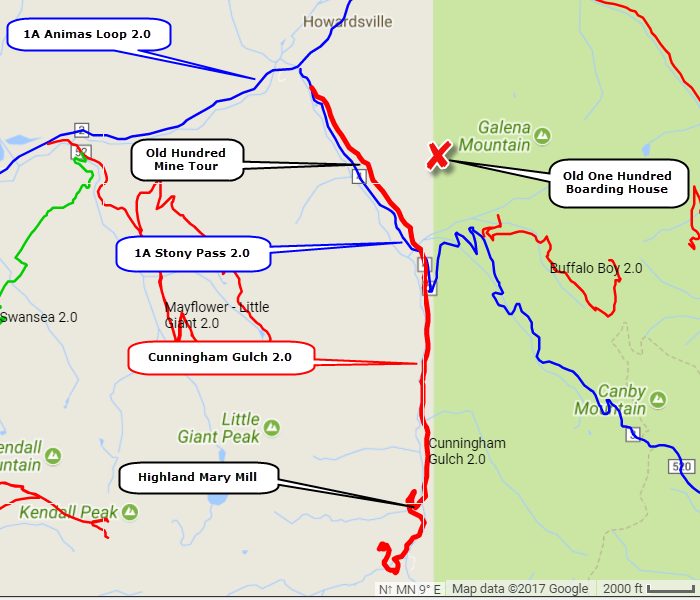 Somebody hid a geocache in the Boarding House and his description describes the hike to get there. 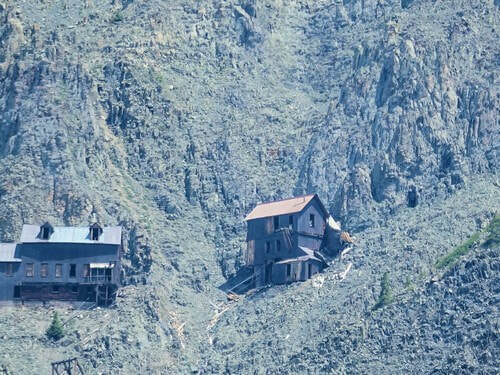 The San Juan County Historical Society has a good history of the mine. It never did turn a profit. The Boarding House is the one with dormers. The other is the tram building.